Follow Gothamist on Twitter and Instagram, and like us on Facebook. Apparently Canadian college students spend a lot of time thinking about toilet paper. Serial will stream its next season on Pandora. If powerful Hurricane Patricia was a "window into the future, it's not a good future." Video: Here's the first trailer for Charlie Kaufman's new animated film Anomalisa. Having exsanguinated the groundwater in their Saudi Arabian land, farmers have bought desert in America to feed cows back home. Angelina Jolie and Brad Pitt talked about their marriage, her cancer risks and their new film. 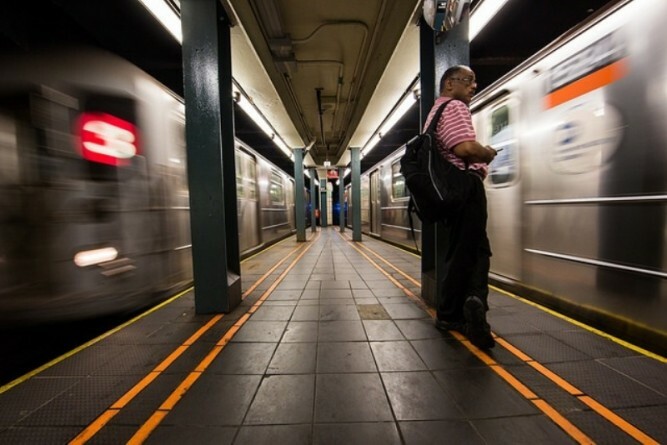 A baby was rescued Sunday evening after falling onto the subway tracks at Times Square. There have recently been discovered 48 new species of snails including one that's just 0.88 millimeters (0.03 inches) across.